Are you new to contracting? Are you working on a short term assignment? Are you unsure of your options? If you answered 'YES' to any of the questions above then Umbrella working could be right for you. Are you contracting currently? Are you a professional freelancer? Are you ready to be your own boss? If you answered 'YES' to any of the questions above then a Limited Company could be right for you. 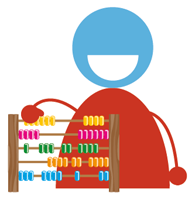 Interactive calculators for Limited Companies, Umbrella Workers, Sole Traders and Dividend Tax. Information on expenses relating to Limited Companies, Umbrella and Sole Trader Workers. Part of the Champion Group of Companies, providing specialist services for freelance contractors. Our specialist Contractors division provides accountancy services, tax advice and payroll services to freelance contractors throughout the UK. We offer support to freelancers running their own Limited companies, self employed Sole Traders and contractors choosing to work on an Umbrella basis. Find out why Champion is the right choice for you. Send us your questions and queries using the quick contact form. Information on expenses relating to Limited Companies, Sole Traders and Umbrella Workers.